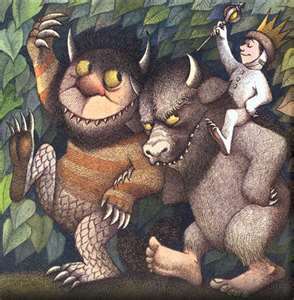 Posted on May 8, 2012 by mimijk •	This entry was posted in inspiration, love, parenting and tagged Children's literature, Maurice Sendak, Where the Wild Things Are. Bookmark the permalink. The joy of our favorite childhood books stays with us always, doesn’t it? 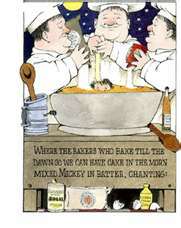 What a wonderful paean to a truly gifted author…..
We delighted in him so much..When my eldest and his wife got their first house, the first thing they bought was a poster of “In The Night Kitchen”…and of course they had to have the entire wild things collection. 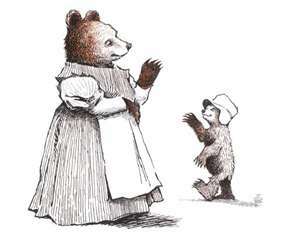 He was magic..
Btw, can you please send me the link to your children’s books again? We actually have an autographed copy from Ben’s childhood. I did the same marching and conquering with many of my special needs students over the years. I was always so appreciative to this man for his writing was the catalyst for some of the most dynamic interactive lessons that crossed over disciplines, incorporated therapies and provided “my kids” with such rich language experiences. His legacy is the wonderful memories simply saying his name evokes. While he will be missed and his passing is certainly a loss, his words will be with us forever. What a gift that is! Oh please don’t go..we’ll be so sad…we Sendak him so. Isn’t it amazing how you can feel the loss of someone you’ve never met, but KNOW through his work? I mourned when I read the last work of fiction by my favorite author, and she is alive and lives in my town. Her work is too thoughtful and measured for her to be prolific, thus I fear I may never read another piece of her fiction.